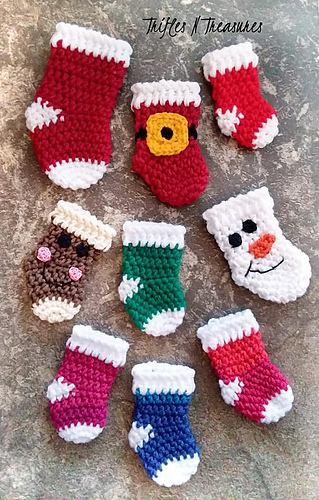 These Simple Little Stockings are exactly that! 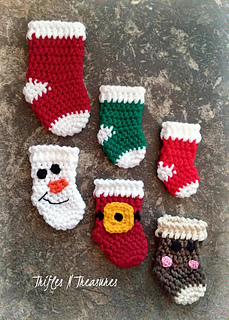 Simple and quick to make, and 3 small sizes to suit any need~from holiday decor, to class/office parties, to gift card giving…Not only that, they come with pieces and parts to create characters, too! 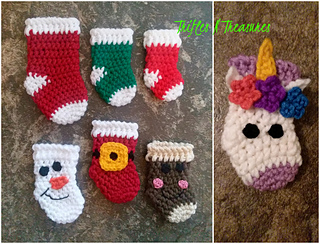 Quick instructions are included to make a Unicorn, Reindeer, Snowman, Gingerbread, and Santa Belly…Let your imagination run wild for so many other varieties!